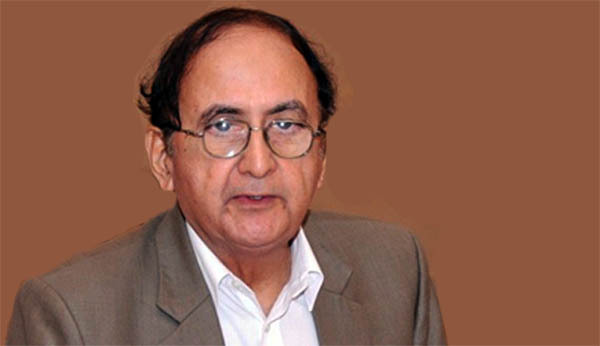 ISLAMABAD, Jun 7 (APP):The Election Commission of Pakistan (ECP) on Thursday announced to name Prof Hassan Askari Rizvi as the caretaker chief minister of Punjab. Addressing a press briefing, Additional Secretary ECP, Dr Aktar Nazeer said the commission had received four names from government and the opposition of Punjab to consider for the position of caretaker CM Punjab. He said that the decision of nomination of CM Punjab was made after thorough discussion and with consensus by the Commission in its consultative meeting which was chaired by Chief Election Commissioner Justice Sardar Muhammad Raza and attended by all members of the commission. He said that Prof Hassan Askari is a famous educationalist and he has longtime affiliation with education sector. He said that being analyst on various tv talk shows, he proved himself as expert on national and international issues. The matter of nominating caretaker CM Punjab was referred to the ECP after the failure of parliamentary committee to reach consensus over the proposed candidates, rather both former government and opposition levelled charges on each other in failing to reach consensus by Pakistan Muslim League-Nawaz (PML-N) and Pakistan Tehreek-e-Insaf (PTI). PTI had proposed the names of news analyst Ayaz Ameer and Defence analyst Dr Hassan Askari Rizvi for the post of caretaker CM while the PML-N had nominated Admiral Muhammad Zakaullah and Justice (retd) Muhammad Sahir Ali.